Most wanted list / My birthday list! Throughout the year, I have always said that I have three times that I look forward to. Halloween – when all the little children are excited to dress up and go trick-a-treating. Christmas – because of all the decorations. The tree, the tinsel and the giving of gifts. I also love the massive dinner you have alongside your family, and the food coma that comes afterwards. My third favorite time of the year is the most important. It is the time of year that I can high five myself. My birthday! I have always been a person who enjoys birthdays. As selfish as it sounds, I love the idea of a day being dedicated to me. I enjoy having my family coming over and celebrating with cakes and snacks (the typical Dutch birthday party, which I’ll talk about nearer the time.) After a discussion arose about my birthday on Twitch that started from people asking what I would want, I mentioned three things. Books, board games and/or British food. There are SO many books that I would love to have. 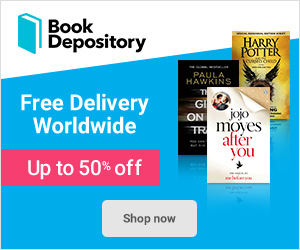 These books mostly come from recommendations from friends, other authors, Goodreads or come from lists like “If you like this book, you’ll love these books”. I have been interested in this book for quite a while. While I was back in Scotland in February, I was almost picking this book up. However whenever I tried to find this book, I couldn’t! The only book I could find was Traitor to the Throne, the second book in the series. Of course I snatched that book up! The concept of this book really interests me, and I look forward to eventually getting my hands on it. This is another new entry into my most wanted books. This book has being highly acclaimed on Goodreads. I would say that this book probably wouldn’t be a first choice in my reading library however, I love the idea of a women who is in two different “worlds” (one being in a poor neighborhood, the other being a fancy suburban prep school.) The book portrays a very heavy political story and I believe I would find reading it highly enjoyable. This book series sounds so freaking cool. Was another series that I saw on Goodreads and I absolutely LOVE the idea! A witch who has a very rare gift of telling what is the truth and what are lies. Would love to read these books at some point! After my friend Sara picked up these wonderful books from Waterstones, I decided to look into what they were about. 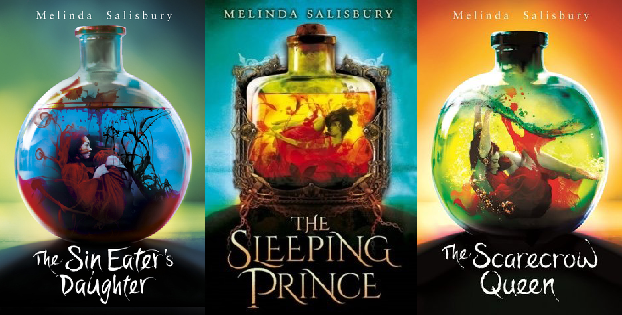 A fantasy story about self-discovery and has magical elements. Sounds like my cup of tea! This book has been recommended to me by my good friend Ord. He also told me that the book is going to be made into a TV series. The idea of the book appeals to me and I think I would thoroughly enjoy it. Where she went has been on the top of my wishlist on Waterstones for a long time. This book is the sequel to If I Stay. Having not spoiled myself too much, I know that this book is told from the guys point of view rather than the girl. I love when books change the main character from potentially a side character to the main protagonist. Of course, I can’t say how main or side the guy was in If I Stay but I’m looking forward to reading these books! After participating in a recent #UKYAchat on Twitter, where these books were talked about a lot, are a must buy now for me! The story sounds thrilling. A girl who is engaged to a prince. However, no one – not even the prince – will touch or love her. This is because she is the embodiment of a goddess who can kill with one touch. Enter a new swordsman, who does not see her as a killer, but a girl and they start to fall in love. This has been another book that has been on my radar for a while. Every time I stepped inside of a Waterstones, I would always see this book. Every single time I was always tempted to pick it up, however always picked other books. Why? No idea really. I love the concept behind Orangeboy. Based around family gangs and drugs. The main character wants to be a good son to his mother and not be like his brother who is the leader of a street gang. I won’t list them fully here, however there are also two book bundles that excite me. The Zoella Book Club Autumn 2016 book collection which includes I Was Here, Finding Audrey, The One We Fell in Love With, The Twelve Days of Dash and Lily, A Monster Calls, If I Was Your Girl, Frozen Charlotte and Lying About Last Summer. This is an exclusive to whSmith! Another book bundle that is available at whSmith is Richard and Judy Book Club Spring 2017 bundle. This bundle includes The Muse, Mad Girl, Lying in Wait, The Trouble With Goats and Sheep, I’m Travelling Alone, Lie With Me, Baby Doll and A Boy Made of Blocks. Both of these bundles have a bunch of books that I love the concepts of, and would highly enjoy reading them! 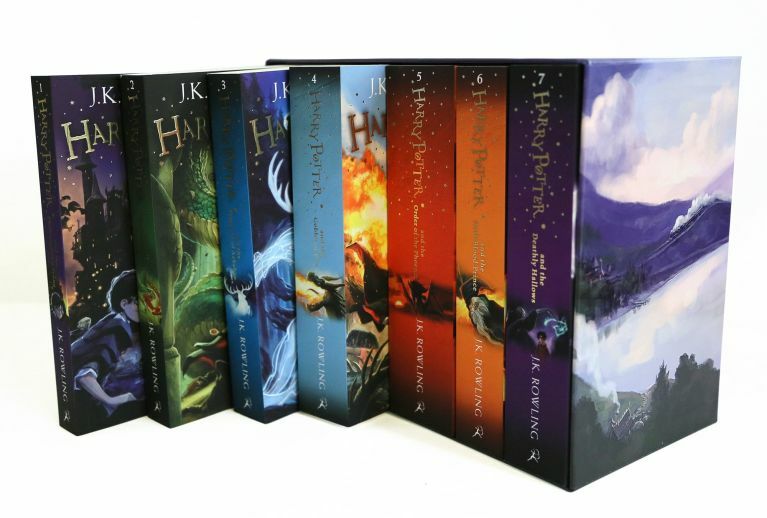 My last special mention is the Harry Potter box set. I have never owned my own copies of these amazing books. I’ve read them all of course, and loved them. It would be amazing however to own my very own box set. The new artwork is also beautiful. I mean.. LOOK AT THEM! The board games that I’m most interested in are 2+ board games. This is because where I live, I don’t have too many people to play with. That means that board games me and my partner can play are highly desirable. These are the board games that I would love to have lining the shelves of my house. First on this list is Agricola. One of my favorite PC games is Stardew Valley, and this game is about farming! Completely up my street. The concept of the game is to expand your farm with your spouse with resource management. A nice strategy game. 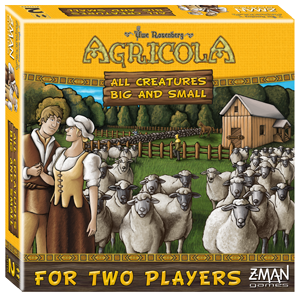 Agricola also has a 2-player version. Of course this is incredibly appealing to me, since this would be ideal for me and the partner! I. LOVE. THIS. GAME. Absolutely adore this game. This has been a highly popular game between my friends on Tabletop simulator. Building cities and trying to get the most points. It’s an absolutely wonderful game. As much as I love playing the game on TTS, there is something super satisfying about holding board pieces in your hands. This has been a massive want ages. 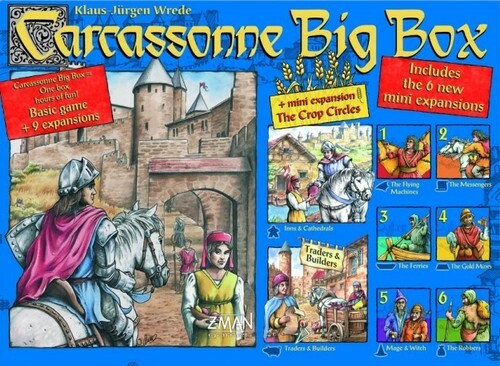 Just like Catan, Carcassonne also has a big box edition. This includes the main game, two main expansions, and 6 mini expansions. This game really peaked my curiosity after hearing about it on a vlog that I watch on YouTube, StephenVlog. 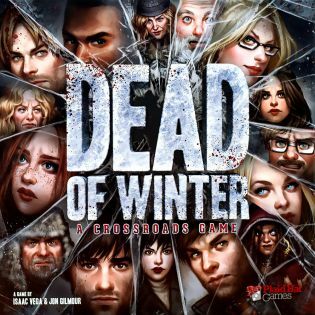 Instead of being a game that you need to work against each other, Dead of Winter let’s you work together in order to survive. 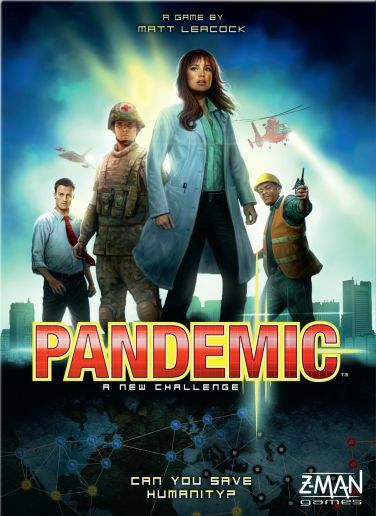 Would be a great game for me and my partner to play. 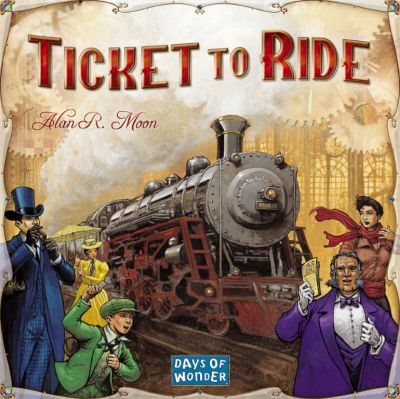 Just like Ticket to Ride, I have heard good things about this game. This is another game that you need to work together. It reminds me slightly of Plagued Inc, a computer game. Unlike Plagued Inc where you create the disease and spread it, you help destroy it! By far the best British biscuit that ever existed. Fight me. 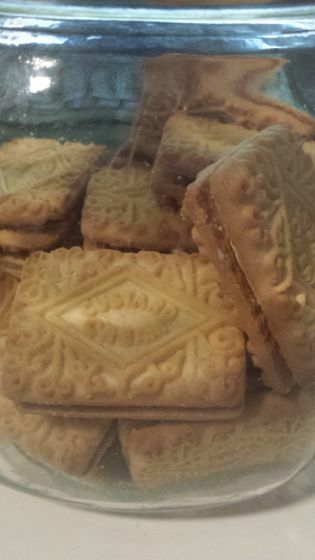 Sure, you can buy biscuits here… but nothing compares to a good ol’ custard cream. NEXT. From the best biscuit to the best chocolate. 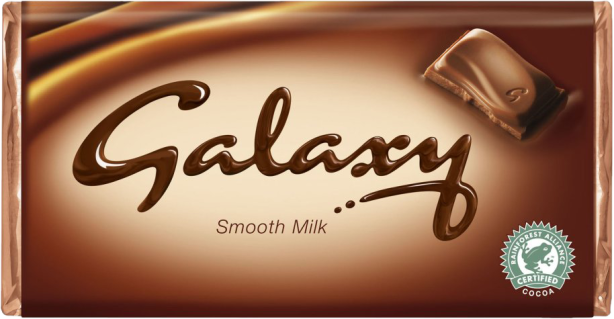 I absolutely ADORE galaxy chocolate. Just the way the chocolate melts in your mouth… oh yes. It’s so delicious! I adore these little bars of loveliness. 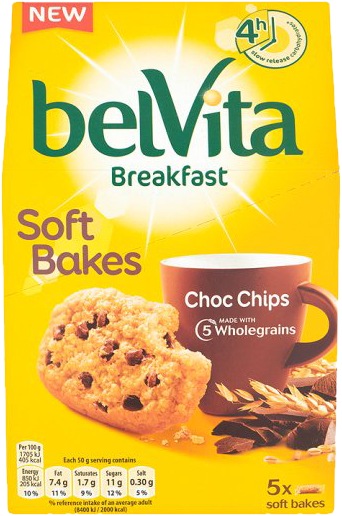 In The Netherlands I can buy belvita biscuits, but I fell in love with soft bakes while in Scotland. There are quite a few varieties of these, but my favorites are choc chip (as pictured above) and red berry. If I have access to these, one will suffice for my breakfast since I don’t need to eat too much anymore! Where can we buy these items?! All of these items can be found on my Wishlistr page. Since this involves my home address, you will need to DM me on Twitter (@Bexyish) beforehand. So here it is. A lovely list of goodies for anyone who has asked me what I would like. This blog post is where I’ll refer my family and friends (and everyone else) who has expressed a wish to gift me something. Are there things that you want to get? 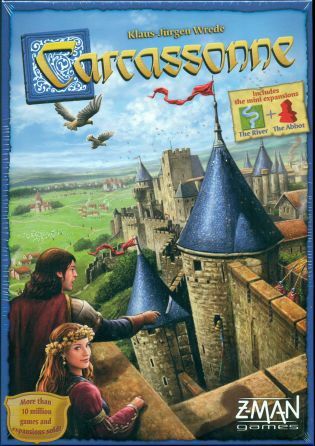 What are the books and board games that you want to get at some point? Do you live in another country and want food from your home country? Let me know! p.s. I didn’t actually mention within the blog when my birthday actually IS! My birthday is 18th of April! 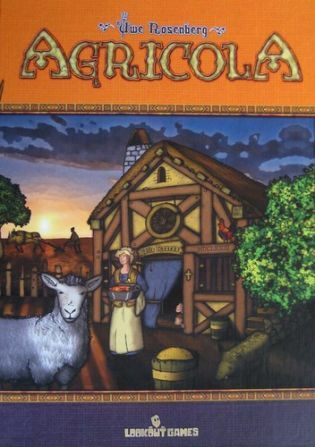 Agricola is quite a complex / deep game, similar to Caylus and Caverna. Stone Age is apparently similar too but more accessible. I’m debating on whether to get you the chocolate or get me the chocolate… what have you done Bexy? But hopefully if I get a job soon, I’ll be able to get you something. I’ll let you know! Previous Previous post: Indie games I love going back to! Next Next post: Eleanor & Park – Book Review!